Mondragon Assembly is a solid international group specialized in the development of integrated automation solutions. The Mother Company in Spain was founded in 1977, and is one of the pioneers in the use of high technology processes such as robotics, vision, dispensing, gluing, soldering or test machines. Today it has become an International Group with manufacturing plants in Spain, France, Germany, Mexico, China India and Brazil. Mondragon Assembly is a reference solar company worldwide providing turnkey solar manufacturing lines. We have provided innovative solar technologies since year 2,000. We offer a wide range of services around the solar panel manufacturing industry, including product design advise, raw materials selection, panel certifying with fast-track, production ramp-up support, personnel training scheduled maintenance. ● Turnkey solar automation solutions with a capacities between 15MW up to 2GW per year. 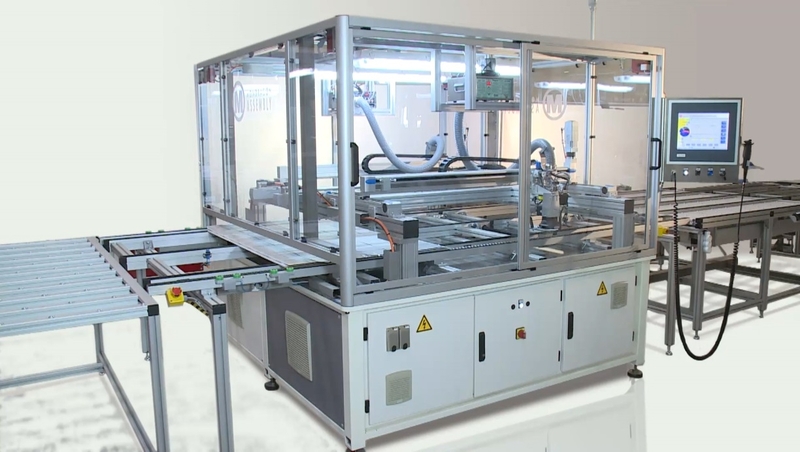 ● Automatic and/or semi-automatic machinery: Tabber&Stringer + Layup, Interconnections, Cell Tester&Sorter, Laminators, Framing and machinery for Testing Photovoltaic Modules. ● Design, specifications and sale of raw materials and consumables, development and certification of modules. ● Training and know-how transfer. ● Customized solutions: Mondragon Assembly’s engineering team offers their experience to help you to develop your project. ● The Mondragon Assembly turnkey lines meet the production needs of each customer, providing solutions aimed at small and large producers and combining different levels of automation. ● Turnkey solar automation solutions with a capacities between 15MW and up to 2GW per year. The flexibility of our lines allows us to manufacture photovoltaic modules of different technologies (PERC, Bifacial, MONO, POLY) and sizes. The lines are equipped with the most innovative technology, allowing us to reach a final product of excellent quality. Mondragon Assembly provides a comprehensive service to its customers, from technical advice to the choice of raw materials and certification of modules. MTS 2500 - Fastest Tabber and Stringer in single track in the world! Its innovative interconnection system allows the MTS 2500 Tabber & Stringer to reach a net production capacity of 2400 cells per hour, making it the fastest in the market per track. ● Smaller machine, easier to assemble, space is optimized. ● One track, easier to combine with another system to get 5000 cells/hour. ● From the ergonomics point of view, easy to access to any place of the machine. ● Maintenance work (OPEX) is easier and the cost is 20% lower. ● Turnkey line Mondragon: One stringer and one laminator will go up to 80Mw, the complete line gets smaller and more productive. ● Less wear and spare parts. Less CAPEX and less OPEX expenses. ● The machine is more reliable, less materials means less incidences and less service work. ● Transport charges are reduced. The machine and lay up fit in 40 feet container. Shipping by air is possible. ● Autodiagnosis: The machine is able to predict and detect itself production lacks, maintenance work values and statistics. 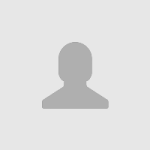 ● Easy integration in MES. The machine is intelligent and it can communicate in a network. ● Busbars: From 3BB up to 8BB. ● Contactless IR soldering so that stress is not generated in the cell. ● Control of cell temperature to ensure good soldering. ● Smart control of the process: the different parameters are adjusted automatically. ● Vision control systems to check the quality of the cells so that defective cells can be removed. The AUTOMATIC BUSSING MACHINE interconnects the strings and prepares the wiring for the junction box. This interconnection is done with no manual operators. 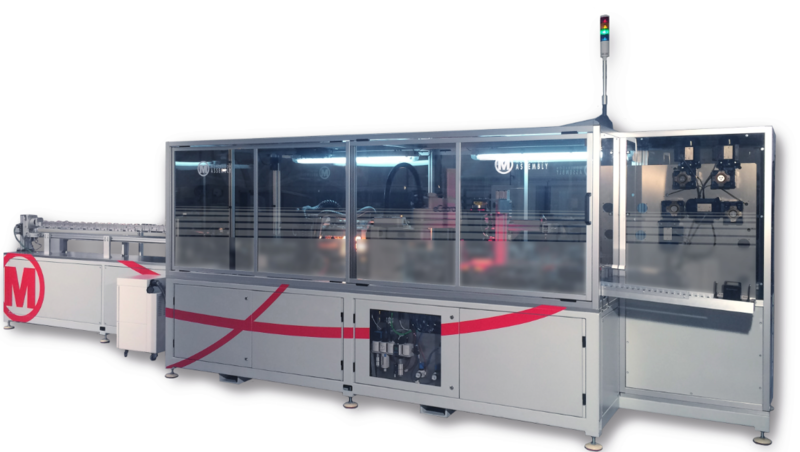 Mondragon Assembly’s bussing systems offer high soldering precision and repeatability, obtained via the utilisation of artificial vision systems and an induction soldering process, which also avoids the formation of hot spots. ● Able to solder the central interconnection line (cut cell module) while maintaining production capacity. Soldering point location: By means of high resolution vision camera. Ribbon and Tab Alignment check included. Flux dosing system: Non-contact, with pressurized tank. ● Induction, no material addition. ● Manual loading of ribbon on the inspection table. ● Artificial vision check of ribbon position before soldering. Ribbon holding: With constant pressure using nonconductive material. Which prevents possible short-circuits. Cooling circuit: Water closed loop with chiller. ● Many combinations of parameters are possible. ● Different soldering/geometry parameters are adjustable and selectable through the configuration panel.